Although Bobby is the smallest bag of the collection, it is more versatile than you might expect. Bobby is the perfect bag for going out with just the bare minimum amount of items, such as keys, a phone, change or cards, keeping it light and easy. It is also the perfect bag to bring along during travels: its small and flat shape will make it easy to pack into a suitcase and it is the perfect bag for holding items such as a passport, boarding card, hotel keys or phone safe yet close at hand. The bag is made of leather, it features one main compartment that is lined with leather and it closes on the top with a zipper. Most of the bags from the collection of The Cyclist feature retro reflective details on the front and bottom surfaces of the bags. Since Bobby is the smallest bag of the collection, another solution had to be found to create sufficient retro reflective surface on the bag. And indeed, a solution was found by simply placing the retro reflective surface on the strap of the bag instead. Bobby’s strap is fully reflective yet it is also strong since it is lined with a leather cord. The strap is safely attached by running it through the four rings on the back of the bag. When needed, the strap can be easily removed. 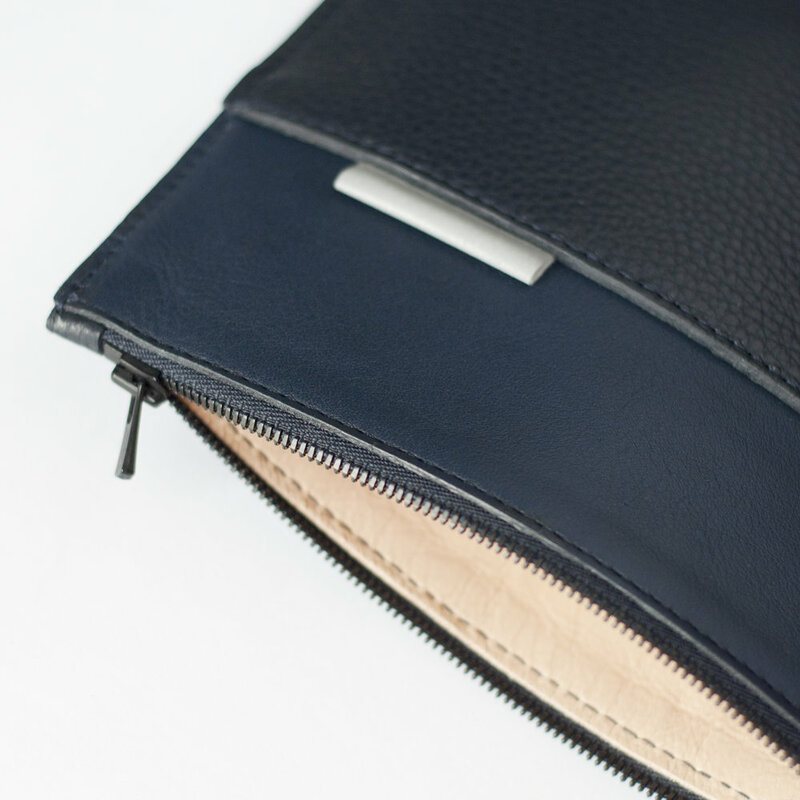 When Bobby’s strap is removed, it can be used as a clutch, pouch or purse. Since Martina and Maxime feature a strap with a snap hook inside their main compartment, Bobby can also be attached to this strap. In this way, Bobby turns into an extra pocket which is perfect for keeping small but valuable items safe yet always within easy reach inside these bigger bags.